Downtown Traverse City Shop Your Community Day! Support your favorite local businesses and charities at the same time on Saturday, November 11 during Shop Your Community Day in downtown Traverse City. For every purchase you make at participating stores (list below), 15% of the sale will be donated to the nonprofit of your choice (also listed below). That’s right, you can get your holiday shopping done early and feel extra warm and fuzzy knowing you’ve helped the community. Click the cover to flip through the pages online! There are so many incredible nonprofits in the Traverse City community and heartwarming stories of neighbors, friends and family supporting each other through donated time, money and ingenuity. 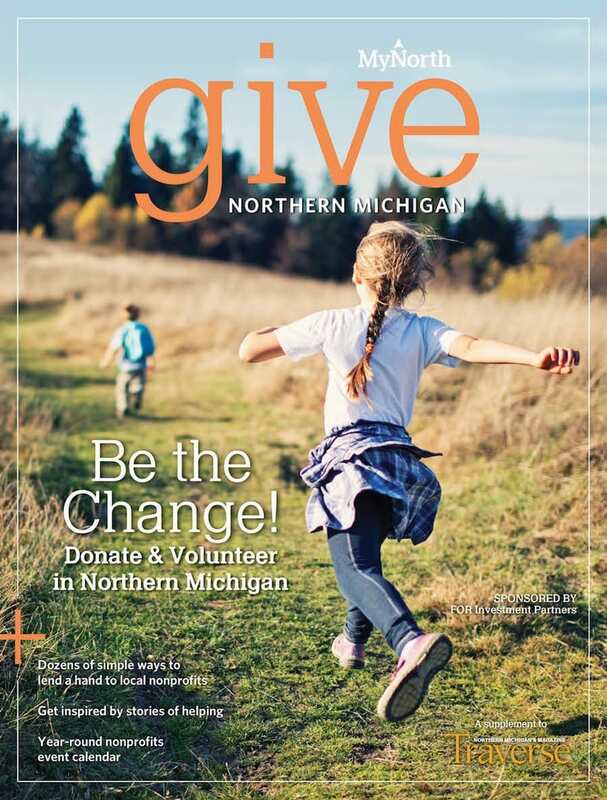 Read some of these stories and learn more about volunteer opportunities in the latest issue of GIVE Northern Michigan, a free MyNorth publication dedicated to connecting the community with local nonprofits doing amazing work. Nonprofit Organizations You Can Choose to Support!